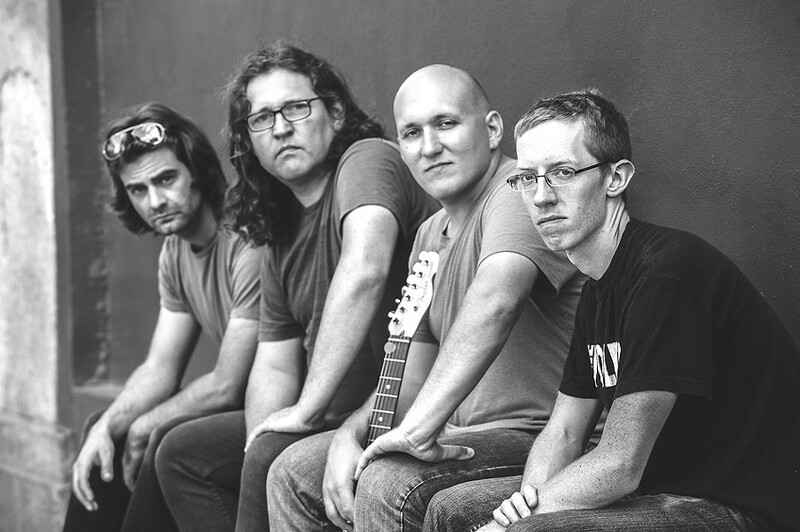 PHOTO PROVIDED The Mighty High and Dry is currently (from left to right) bassist Kyle Vock, singer Alan Murphy, guitarist Mike Frederick, and drummer Chris Teal. As sort of a tip of the hat in the rearview mirror to The Band, The Mighty High and Dry pile on an extra helping of storied songs suitable for framing on its new CD, "The Next Waltz." This is a true test of the time that goes into crafting a record. Regardless of its revolving door in regards to lineup, Murphy is clearly the MHD visionary as he steers the boat from his helm at the keyboard or strapped to a guitar. And there appear to be two camps: those who like Murphy at the keys, and those who like the more rock feel he renders with the six-string. It's often decided by the song's conception or its instrumentation. "Some of it depends on if I wrote the song on guitar," Murphy says. "I'll still throw on some keyboard in the studio as an overdub." And though the keys often carry the song, holding it aloft, Murphy is quick to point out that both albums — "The Next Waltz" and the band's eponymous debut — were what he considers guitar-heavy. Still, he says, it's up to the songs. "Some of them could lend themselves either way," he says. "If it's a good song I should be able to play it on either instrument." What sets the songs on album number one apart from "The Next Waltz" is the length of their gestation in Murphy's head. Some of the first album was rattling around his head for two decades. "All the songs on the second album are fresh tunes," he says. "On our first album, there were tunes that were 20 years old. These new songs here were written recently with The Mighty High and Dry in mind. Plus the band is becoming more of a songwriting collective. It's what I've always wanted." Producer Tony Gross at GFI studios was more hands-on with "The Next Waltz" as well than on the previous record. 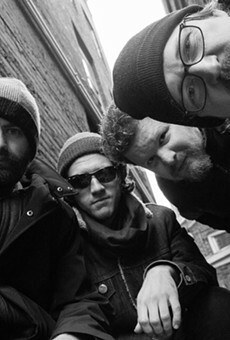 According to Murphy, Gross essentially joined the band. The album kicks off with "Eternity," an epic, big sky vista with its guitar bang and twang before hitting on some 80's jangle-pop with "Day and night." By the time the havoc fades after the final cut, the band has ushered the listener through Bottle Rockets-style Southern fried rock 'n' roll; high and tight pieces reminiscent of Elvis Costello; and songs of epic virtue and want, like the beautiful "It's All Right." Once the new crew is on board, Murphy says, they're going to hit the road. It's the next waltz, after all. "I'm very excited about the future of the band," Murphy says.